Our customers have really turned things around with ORIGOSafeDriver™. We have to give our customers a lot of credit. They saw a problem, and they did something to address the problem in a meaningful way. Each of them found ORIGOSafeDriver™ was a game-changer in changing their safety culture, reducing or eliminating crashes in their fleet, taking a proactive (rather than reactive) approach, and saving them loads of money. To transport his company employees to their work sites, Fred Garcia operates a fleet of 17 vehicles, serving over 1,600 customers a year. Unfortunately, distracted driving was one of the downfalls of many of his employees. In the 12 months prior to installing the ORIGO System, 5 company vehicle crashes occurred as a result of distracted driving. Valuable employees had to be terminated or disciplined in the aftermath of the crashes, which took additional tolls on the team and business. Fred also suffered $300,000 in losses due to damages and insurance costs related to the crashes. In an attempt to stop distractions and losses, Fred Garcia, owner of Garcia Roofing in Atlanta, chose to install the ORIGO System in his fleet vehicles. In the 48+ months since his company installed the system, zero crashes have occurred due to distracted driving. Additionally, the company’s insurance premiums have decreased by 60%! Fred reports that the ORIGO System paid for itself 22.7 times over in the first year, a Return of Investment (ROI) equal to 2200%. Weed Man® needed a unique solution to a common problem. The lawn care professionals of Weed Man® in Atlanta do a lot of driving. And just like any company, they want drivers to arrive safely at their destinations. One of the biggest enemies of safe driving is distraction…a call, a text, or a notification…these can take the driver’s eyes off of the road and cause a catastrophic crash. They found what they needed. Weed Man® deserved a solution with no compromise. Weed Man® uses a sophisticated tablet-based system to navigate and efficiently manage jobs. Preserving these functions, all while eliminating hand-held calls, texts, and any other distractions, was a must. So the ORIGOSafeDriver integration team went to work on an effective, customized solution. A unique solution can also be a simple solution. 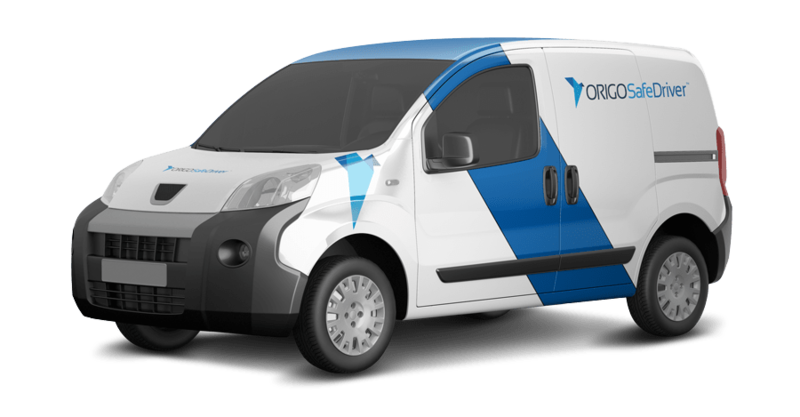 ORIGOSafeDriver allows Weed Man® to access job details and employ navigation systems on their tablets when the vehicle is stopped. But once the vehicle begins to move, ORIGOSafeDriver places a clear overlay over the screen of the tablet. Drivers can still see the navigation function, while any touch function is blocked on the tablet. Once the vehicle comes to a stop, the touch function automatically returns. Meanwhile, drivers’ personal phones are limited to only bluetooth calls. Simple. See the features they enjoy with their ORIGOSafeDriver system. 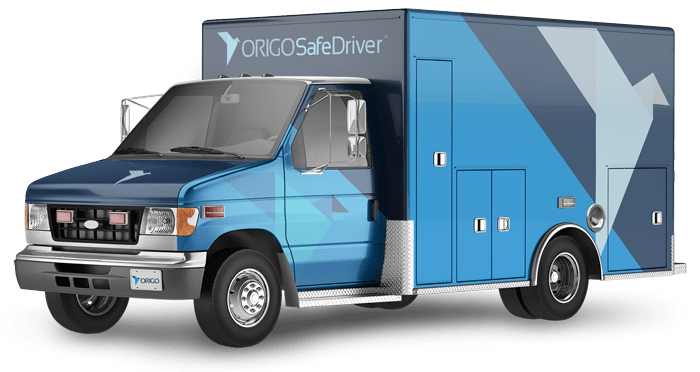 Once the wheels begin to spin, phones (Android or iOS) with ORIGOSafeDriver™ installed are disabled…or they only have the functionality you choose to allow. Our integrated GPS system offers reliable tracking of your entire fleet…with real-time monitoring from your desktop computer, tablet, or even your phone…anywhere and anytime. What if an employee doesn’t bring their phone to work? ORIGOSafeDriver™ will let you know. Or worse yet, if someone steals a vehicle, you’ll know right away & can track the vehicle in real time. Manage your business more efficiently by having driver activity at your fingertips. Easily track and analyze how you and your drivers are utilizing your fleet and gain deep insights. If the driver touches their phone or exceeds their maximum allowed speed, they will receive active coaching to prevent a disaster before it happens (plus, you’ll get a real-time notification). Good behavior should be rewarded. Let’s be honest, safe driving saves you money. Pass along some of the benefits to motivate drivers to be safe, careful, and represent you well in your community. Get creative with this reporting feature and use it for billing (time on the job for service providers), gain valuable insight about job efficiency, and have quick and easy access to the numbers. Set geofences around job sites and track the exact time and attendance in that area. Also, receive notifications if vehicles enter areas you’ve restricted in your system. Use ORIGOSafeDriver™ to define your fleet’s maximum allowed speed. The system will send you real-time alerts if that speed is exceeded…plus the active coaching for your drivers.